On Tuesday, Panera Bread Co (NASDAQ:PNRA) will release its latest quarterly results. The key to making smart investment decisions on stocks reporting earnings is to anticipate how they’ll do before they announce results, leaving you fully prepared to respond quickly to whatever inevitable surprises arise. That way, you’ll be less likely to make an uninformed knee-jerk reaction to news that turns out to be exactly the wrong move. Panera Bread Co (NASDAQ:PNRA) has benefited greatly from the trend toward healthier eating, with its corporate philosophy encouraging customers to treat its restaurants like a home away from home. So far, that strategy has produced impressive growth. Let’s take an early look at what’s been happening with Panera Bread Co (NASDAQ:PNRA) over the past quarter and what we’re likely to see in its quarterly report. Will Panera’s earnings stay healthy this quarter? Analysts in recent months have become slightly more optimistic about Panera’s earnings prospects. They’ve raised their estimates for the just-ended quarter by $0.02 per share and ratcheted up their 2013 full-year consensus by twice that amount. The stock has done reasonably well, rising about 10% since mid-January. Panera has thrived by selling healthy fare in an inviting bakery setting. Not content to allow Starbucks Corporation (NASDAQ:SBUX) to dominate the early morning coffee niche, Panera Bread Co (NASDAQ:PNRA) has used some of the same tactics as its rival, building out its restaurants to encourage customers to linger with Wi-Fi and comfortable furnishings. Starbucks Corporation (NASDAQ:SBUX) has reupped its efforts to go beyond coffee with its purchase last year of bakery company La Boulange, but that hasn’t stopped Panera from posting strong growth. One way that Panera has successfully gone beyond its coffee rival is in offering catering services. 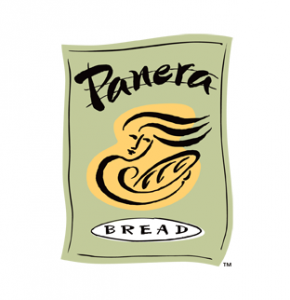 The company saw its catering sales rise 19% last quarter, and Panera Bread Co (NASDAQ:PNRA) expects to continue to expand in the area as customers get familiar with its availability and convenience. Fellow healthy-eatery Chipotle Mexican Grill, Inc. (NYSE:CMG) announced at the beginning of the year that it would follow suit with its own catering service, seeking to keep up with its competitor’s faster growth rate.